HIVE-RD [R&D.Construct] is a 3D multi-user workspace that leverages the usability of common features in many multiplayer video games, whilst also featuring access to common office-related features and collaborative functionality like web browers, spreadsheets, presentations and communications technologies. 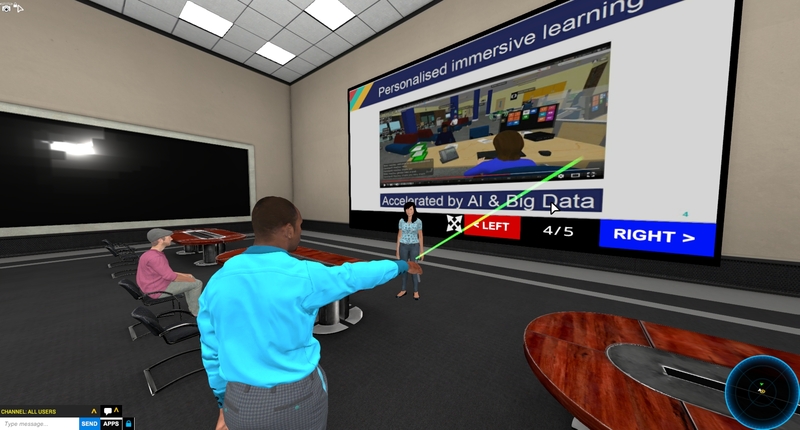 Add to this the possibility of including storylines, artificial intelligence and narrative-driven objectives and it becomes clear [R&D.Construct] can provide an interesting and feature-rich experience to users. What does my organisation get? 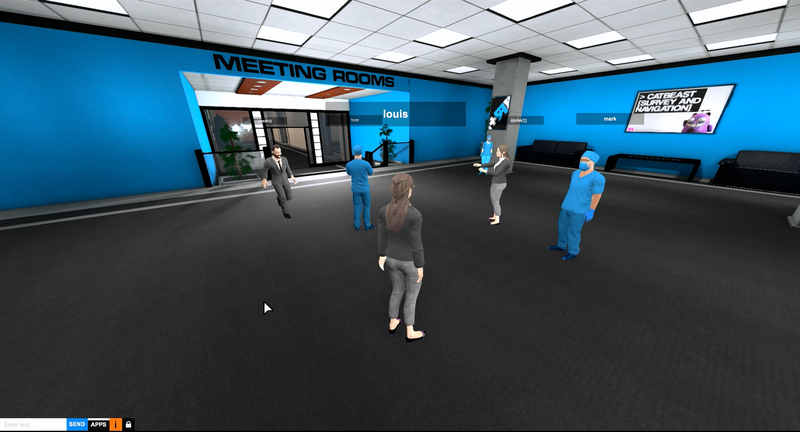 Your organisation gets access to its own 3D spaces, with features and functionality as detailed below. If required, the 3D spaces can be customised and branded according to your specifications. Is there a maximum user limit? Per server: you can have up to 20 connected users. However you can theoretically have an infinite number of servers, since our systems run via Amazon Web Services. So, for example, if you have a requirement for 1000 simultaneous users, you can have 50 or more servers running to accommodate them. Please see the user manual if you are looking for user guidance. *If you are a hao2.eu client and you have an issue or a request regarding R&D.Construct, could you please address your requirements at http://support.hao2.eu/open.php and subsequently, we will address the issues. 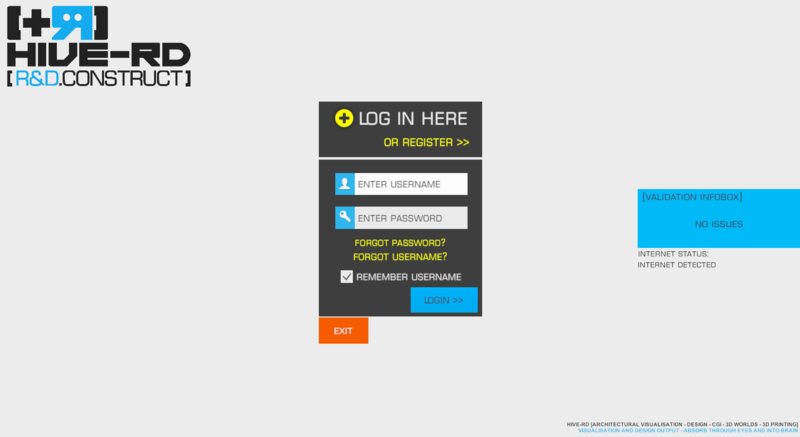 1) [R&D.Construct] offers sign-up/sign-in user accounts. 2) Multiple networked users. You get to ‘be’ one of these when you get into the world. Your avatar can be changed to another character on-the-fly, and other players will see it change instantly. We can design a wide range of avatars. 3) User interface. This is undergoing constant modification, but for our primary features we’re using the ‘wheel’ menu that is standard in games these days. 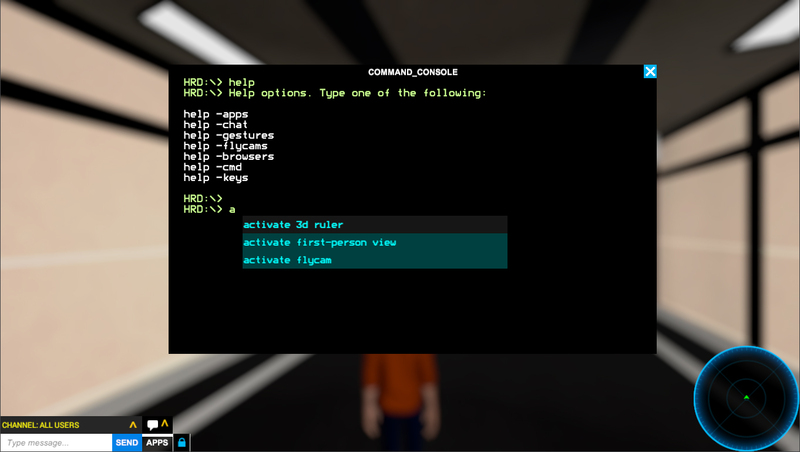 The background blurs when major parts of the user interface are active, to help with focus. 4) Networked laser pointer. You can point out things whilst talking to other people, as well as set temporary points of interest which show up as icons on other people’s screens. These points can also affect the behaviour of artificial intelligence characters, depending on the scenario. 5) Networked measurement tool. Similar to the laser, but with some axis guides. You get a distance counter on your screen too. 6) Networked FlyCam. Probably the coolest playable feature. 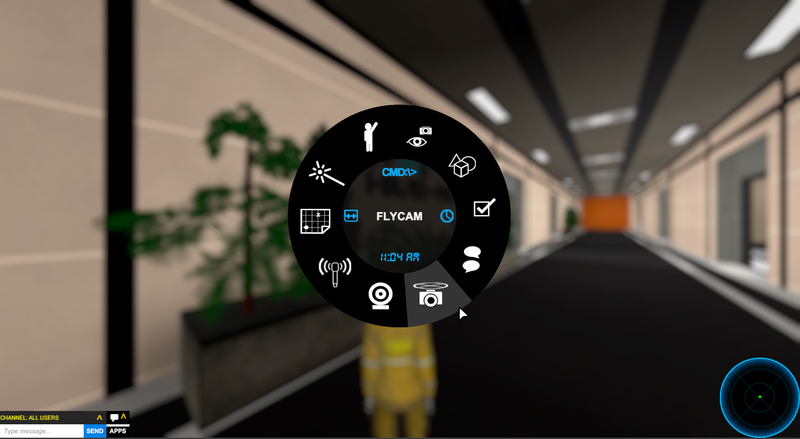 With the FlyCam, you leave your avatar, and can zip around as a flying drone camera equipped with nightvision, and zoom, and which can take saveable screenshots of the world. You can choose between four FlyCams currently: a mini plane-style drone, a mini-helicopter type, a mascot character, or an anime-styled cat. Your user interface changes to a target-camera. 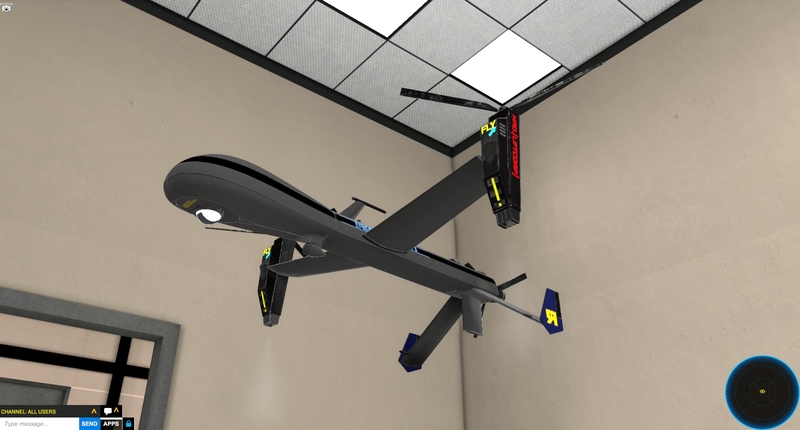 Depending on your drone, the other users can see your drone eye-piece moving around where you are looking. You can use this gadget to move around the world much more quickly, and you are not as restricted by height. 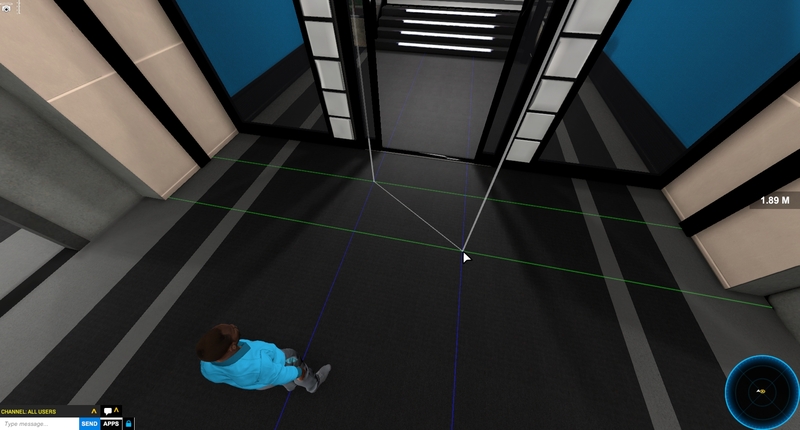 The FlyCam is also important because it redefines how a user can interact with a 3D build. 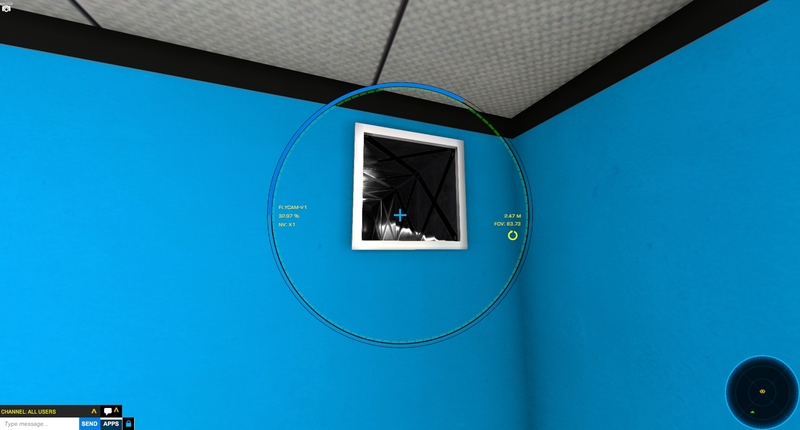 In the image below you can see a ventilation shaft entrance high up on the wall, which can be explored with the FlyCam, but not with an avatar. 7) First/third-person views. You can switch between these views, depending on what is most comfortable. 8) Networked webcam. If you have a webcam activated, you can switch on the webcam option to broadcast your feed to others. Your feed will appear as a small window above your avatar. 9) Text chat is supported, and you are provided chat window which allows you to save chat logs, as well as toggle between different message types. You can also review objectives and goals here. You can also use the search bar to find messages with specific words. 10) VOIP. 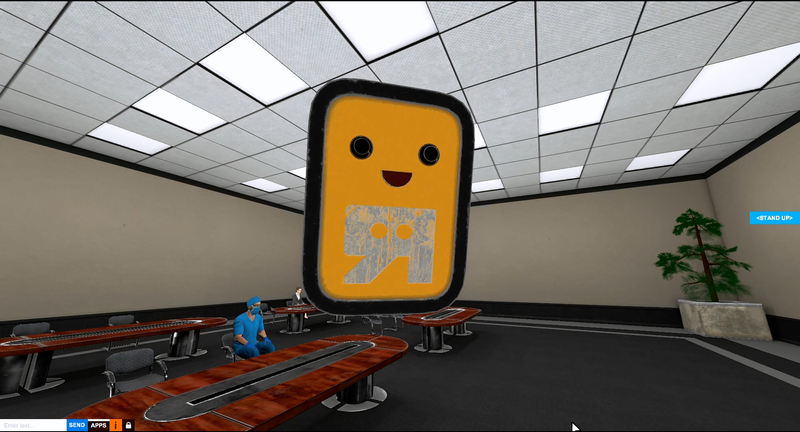 We’ve implemented voice-chat. When you enable it, you get some ‘((( )))’ brackets around your username to show you are broadcasting. 11) Right-click cut-copy-paste-select-all are supported on textfields, and it works on 3d user interfaces too. 12) Text-to-speech. Enable this in the settings, and the computer will ‘say’ every text message you send or receive. 13) Gaming-type movement : run, jump, slide, crouch, dance, teleport, and hopefully climb in the future, Avatars can also look at targets etc. Some of these things seem trivial, but they can totally alter how invested a player feels in the experience, and how easily a world can be navigated. Gaming-type environments with puzzles and interactive elements can also be designed for users. 14) Shared 3D media players. Share PDF, web, image, audio, video, and save uploaded data. 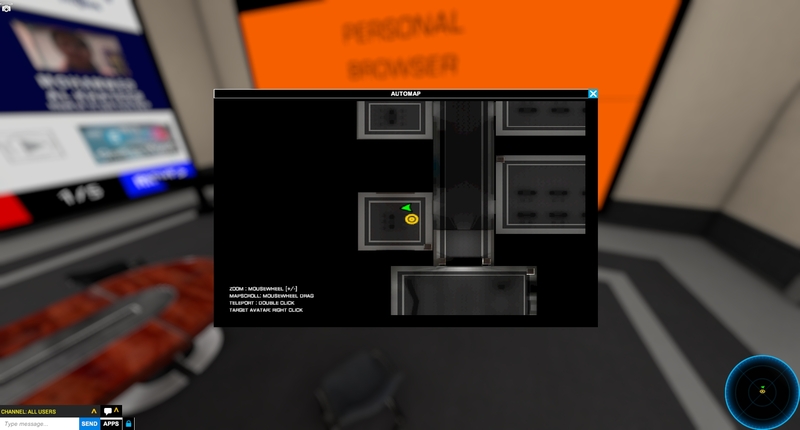 You can load a URL into the 3D interface, and everyone who is connected will see what you upload, or you can upload a resource from your hard drive. There are also web browsers, which allow you to interact with services like Google Drive or Slack. 15) Stickers. These are movable objects, that hold a reference to a PDF presentation or they display an editable text message. They can be dragged around the world and fixed to almost any surface. Resources like PDFs and images can be viewed in a full-screen mode which allows for greater detail. 16) Inventory system for keeping and using useful found items (this can be used in storylines, for example). 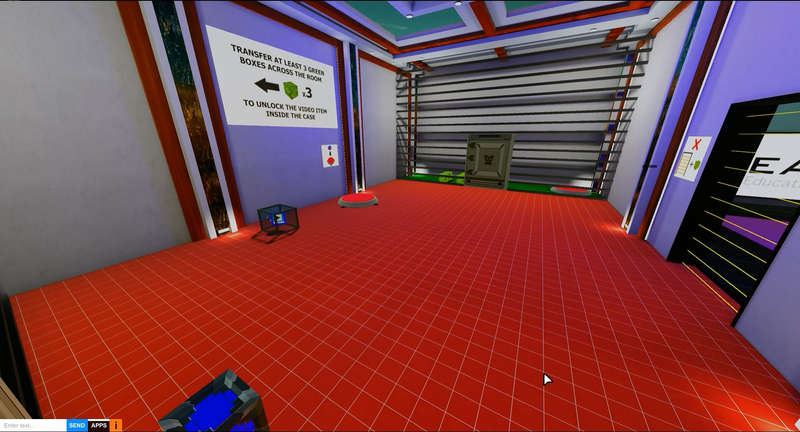 In the future we plan to expand this to allow for certain items to be combined to produce new items/effects etc. 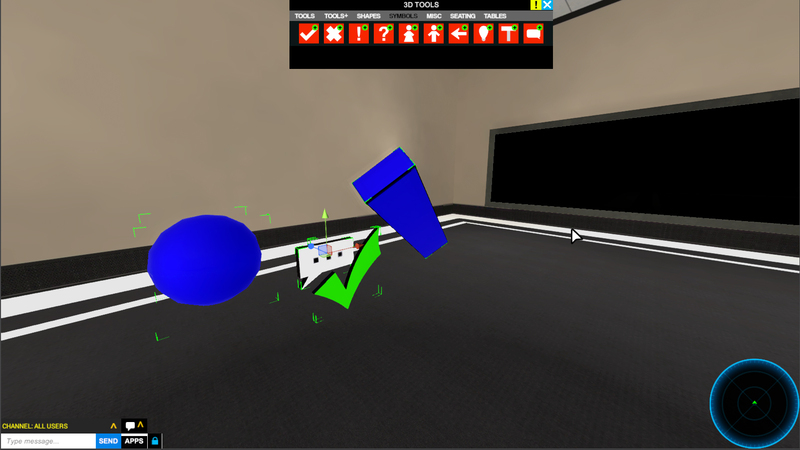 We’ve also implemented the system whereby you can ‘pick up’ 3D objects for keeping in the inventory. You can use the search bar to find items you have too. 17) If you have played any games, you should be instantly familiar with the Waypoint System: with on-screen indicator icons for objectives, distance counters, and side-screen arrows when objectives are off-screen. These help users focus on what to do next in-world. These are visible in the other images on this page. 18) Programmable artificial intelligence with audio abilities, fully animatable avatars, waypoint paths, dynamic obstacle avoidance and the ability to set or follow storylines. 19) We have an ‘automap’, a top-down map which follows your position. 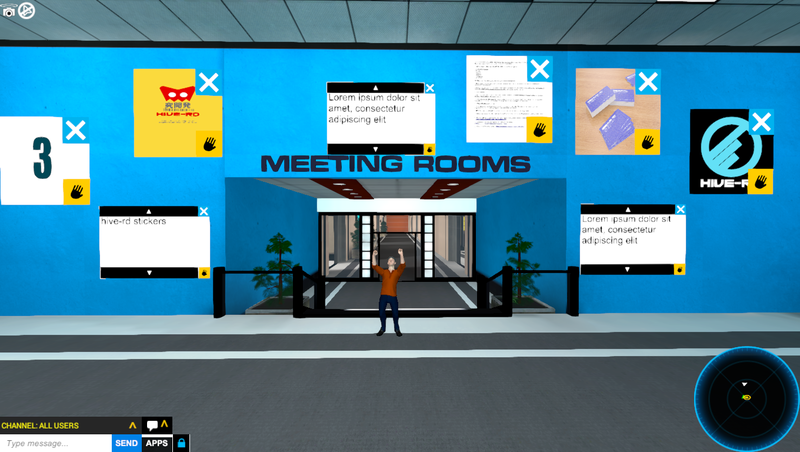 It supports teleporting, map scrolling, and the map also shows goal icons and user arrows. 20) Saveable settings. You can store your preferences from here. 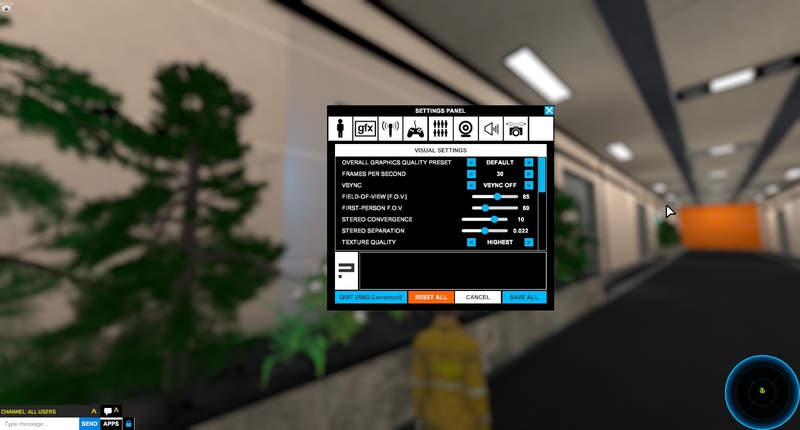 It comes with a generous audio settings area, graphical options, field of view settings, rebindable keys, various gameplay and control settings, avatar and FlyCam choices, amongst other things. 21) Objects that have a networked state, and have physics that can be affected by players. 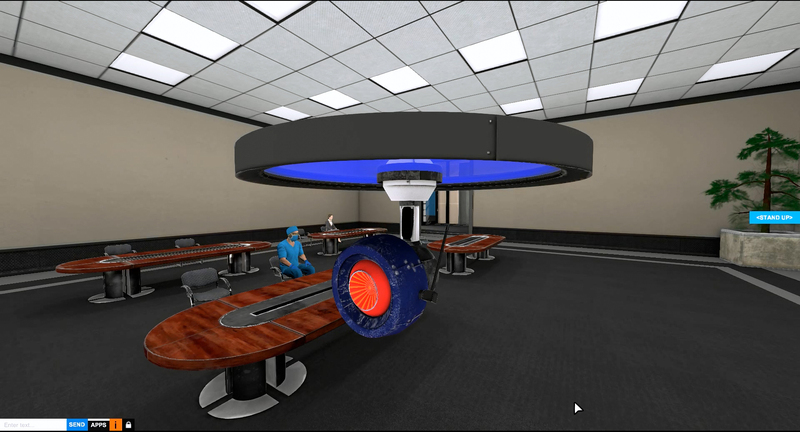 This gives scope for networked stories and tasks, or just to allow for the moving of furniture. 22) A command line interface, which gives you the ability to affect the world, gather information, or get help by using text commands. 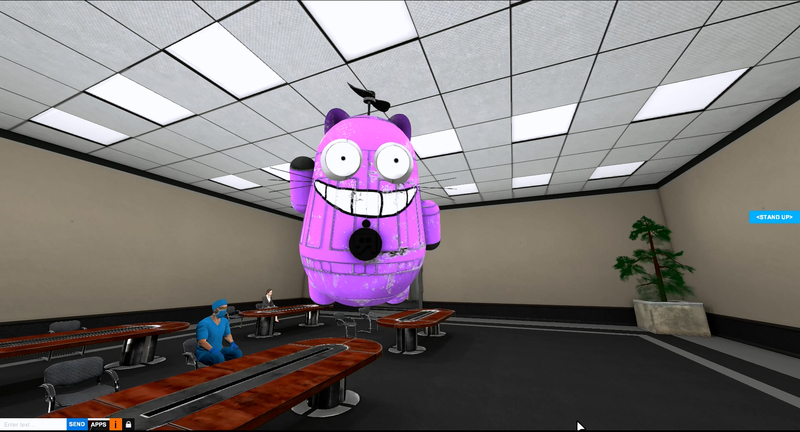 23) 3D Editor. Place and edit a large variety of objects from basic shapes and seating, through to importing your own custom 3D models and textures. 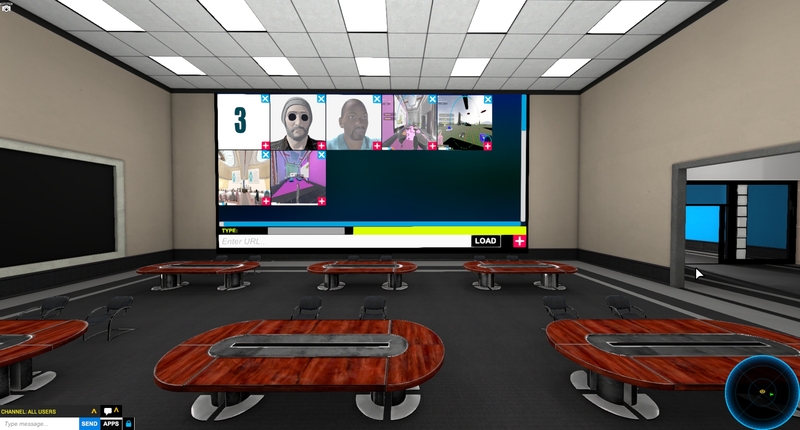 This allows users to alter the world to their needs, and adds an extra layer to presentations and brainstorming. 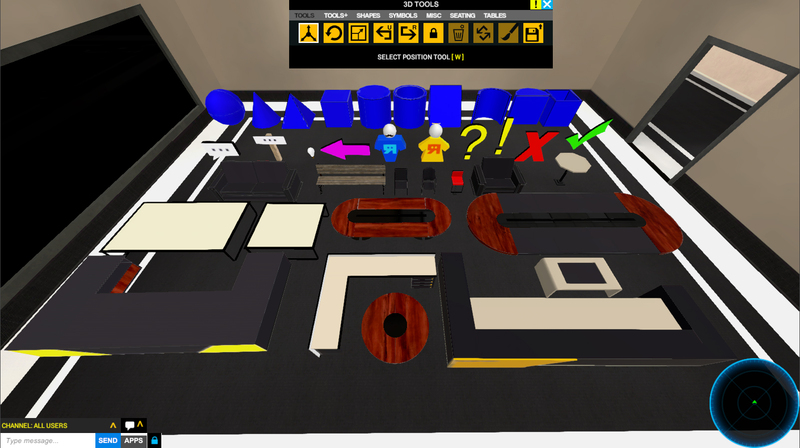 This shows all the default 3D items available. Either you can create and import more of your own, or we can create the assets for you. 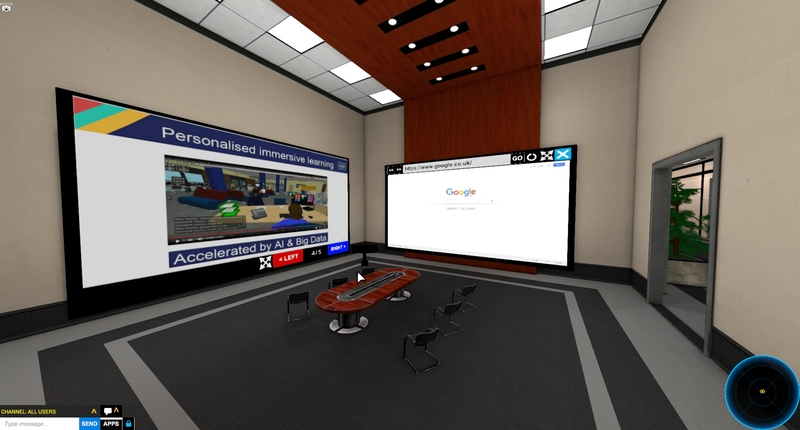 If you are interested in finding out more about how to get one of these virtual worlds set up for your organisation, please use the contact form below and give us details about your project requirements and the number of users who intend to use the virtual world.